Welcome to the Murphy-Cam After Dark edition. 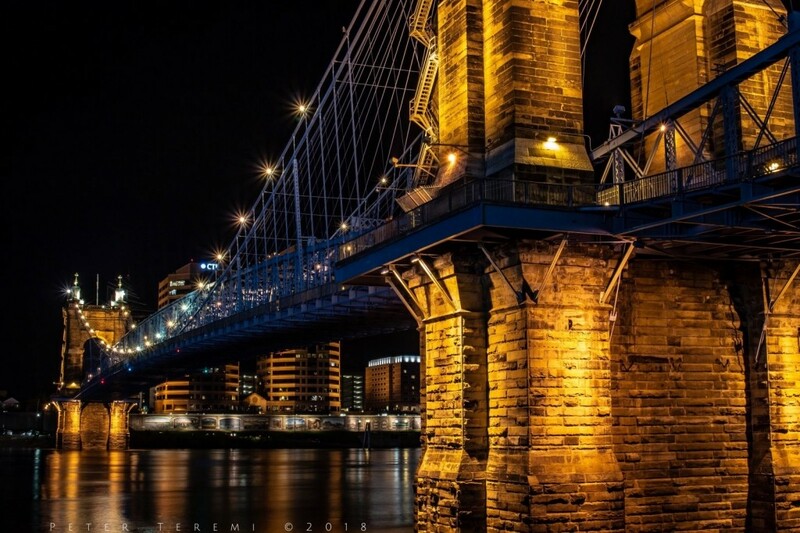 One of my favorite landmarks on the Cincinnati riverfront is the Roebling Suspension Bridge. Though beautiful during the day, at night it comes to life. Hoping this finds you well! Brought to you by the Murphy-Cam Project!